As I was invited by a noted Syrian political writer Dr. Sami Moubayed to contribute to edition number one of "FW:" magazine, I was confident that this magazine will be something different coming from true lover of Syria like Sami himself and the publisher Abdulsalam Haykal! 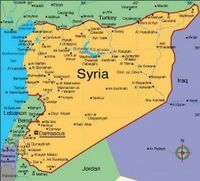 The "FW:" deals with Syria’s business related issues, its domestic affairs, as well as its relations with the outside world. As its name implies, the magazine will focus on reform, carrying an optimistic and constructive tone. The general emphasis is economy and business, and the implications and interrelation with social, political, and international affairs. I had many ideas and topics to write about, but I couldn't chose a better start than to write about my beloved "old Damascus". "…Unfortunately, the media business in our part of the world has to fall in one of two categories: pro or against government. While Forward will resist such categorization, we anticipate that some of our audience will be judging the magazine based on how "outspoken" it is to criticising the government. To be described as "outspoken" has so far been the credit for Syrian writers and publishers. For many long years, outspokenness was deficient (unless otherwise instructed) in state-controlled media. Looking today at newsstands any given day, one can see abundance of harsh headlines and confrontational content, in relative terms of course. However, what the Syrian media suffers from at present is the lack of objectivity, originality, and insight. That is what Forward will attempt to offer English speaking readers; often foreigners in Syria and abroad, including investors wanting to know how it is going back home. We are excited to start with another journey, where the only way is forward…"
"Even with hazards, Syria 's only way is forward" by Abdulsalam Haykal the publisher and editor of "FW:" magazine. "… When I imagine the Syrian future, I see people debating the future in a hundreds cafes from Damascus to Aleppo to Latakia. I imagine a country that is networked so that to the internet – and the-life changing knowledge it provides – enters into every village, classroom and home. 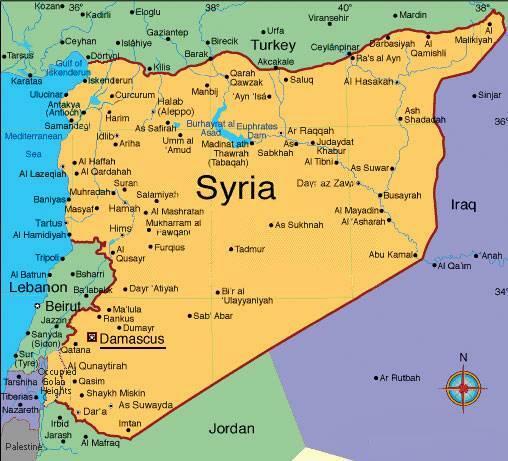 …"
"Imagining a new Syria" by David Ignatius an associate editor for the Washington Post. "…For example, the website called " Syriapol – A Syrian Democracy Project", a public opinion portal designed to measure Syrian political attitudes toward governance, economic progress, democratic reforms, and the peace process, was blocked from view in Syria. Contrary to intuition, though, it was not the Syrian government that had censored the site, but rather the American company, a very popular webhosting service called GoDaddy.com, from whom the domain name had been purchased, which blocks anyone inside Syria from accessing any website that they register..."
"The silly side of sanctions" by George Ajjan an activist and member of the Arab American Institute's National Policy Council. "… In the US, every commentator on every talk show tells us, "there are no good option for the US in Iraq . The best we can do is to pick the least and bad option. Any choice will harm us and will bring carnage to Iraq ." Again, these commentators are correct as far as they go. But they are looking in the wrong place for a solution. The source of the American problem in Iraq isn't in Iraq or even in the Middle East. The source of the American problem is American pride. The pride that insists that military power rather than human justice is the solution to every problem…"
"Pride, prejudice, and talking to Syria" by Scott C.Davis the author of The Road from Damascus: a journey through Syria. He is co-founder of Cune Press, a book publisher devoted to creating dialogue between Syrian and the US. "… Shortly afterwards, I met many expatriate Syrian who had returned to spend Christmas in Damascus. They and us who decided to live in Syria by choice had endless debates about nation-building. More than ever, the expatriates were seriously thinking of returning home. More than ever, we were thinking of leaving. Strangely enough, the expatriate and Abdullah al-Khani were seeing something that many of those living in Syria could not see. It was: hope. 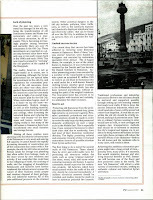 Having said that, it is now time to move forward, as the name of the magazine implies. There is no way for Syria but forward…"
The greatest thing about your post is that you're back. Thanks for the link and thank heavens, GHALIA IS BACK! This is great news. 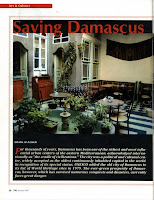 Ghalia's article should hopefully convince more NGO's to take better care of old Damascus. And really missed ur posts! HOW GREAT YOU'RE BACK!!! I really MISSED YOU .. and hope very much, you won't "get lost" anymore!! GREAT post Ghalia ... keep it up!!! does this magazine have a website? Hey Ghalia i've been following your blog for some time now, you've done some great work. I know this is unrelated but I will be coming to Syria at the end of the year and looking to enrol in some arabic classes do you know where i can get more info on the Hawza al Sayada Zainab? I would really appreciate it if you can send me any info. I love your article - it is really a significant issue deserving of a lot of creative attention. Is the magazine online? I can't find it. Why not? Also, what's "weekend" in Syria? is it Saturday and Sunday? I am very interested inn new ways for Damascus. My proposition is to bring modern art (and way of expressions) to the old town as an architectural project. I will be flying to damascus next week and would like to meet people who know something about it. it s a universtiy project and we will present it in March 2009 in Damascus.